Again I sence G. Lucas under that helmet 🙂 Very cool series before Christmass, looking forward to their completion! 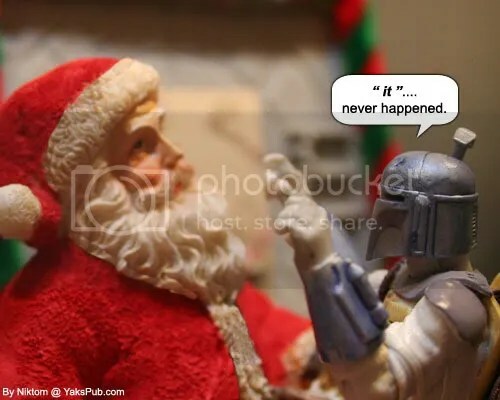 Nice Holiday Special reference… the ‘reveal’ of the SWHS Boba in the second panel sells it. 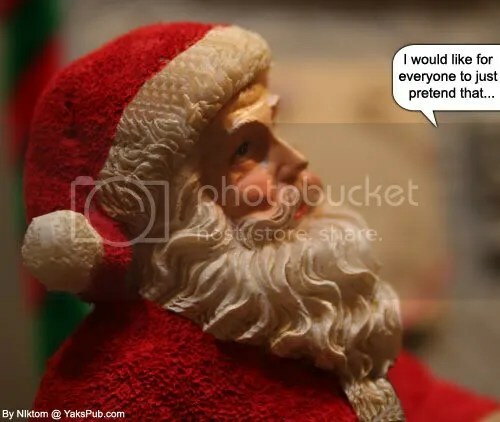 Say, what’s being retouched on Santa’s hat? There’s some artifact-y Photoshopping visible in every one of these installments in the same spot. Whatcha hiding? I’m not sure why he’s complaining; his segment was the only thing that made the damn special worth watching! I really don’t know what the big deal is. It wasn’t that ba….I can’t do it. I just can’t keep a straight face on that one. It was attempted murder of the SW franchise. Bruce Vilanche (sp?) should be smashed with a hammer. Carrie Fisher was just smashed. This is a great reference though.